Maybe Curfew ? Only problem being they get to return a creature, so it won't get hit by the wipe. Sigil of Sleep + Evasion can make non-blue agro players die. This list is awesome, especially the categorization makes it a real good help! Psychic Corrosion isn't discard, the cards aren't moving from the hand to the graveyard so it is strictly trying to run an opponent's library out of cards. I don't see anything it combo-damages with other than Bloodchief Ascension because that states 'from anywhere'. Nekusar wants to win through pinging through wheel effects so maybe Animate Dead and Sepulchral Primordial don't fit as well into this strategy [I suppose you could be looking to Animate your own Magus but that might be on the slow side]. 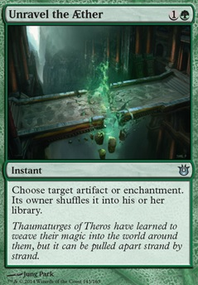 For the most part, everything you've put in works with the deck but since you've got to trim cards its a matter of 'does X work as well as Y' that will probably determine your cuts and that might require some play testing and swapping some cards in and out to find out what fits best with your playstyle. 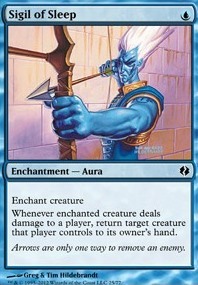 Typing double brackets around the name of the card creates the link. There is an icon for 'card link' in the bar above each comment section, looks like a piece of paper with the upper right hand corner folded down. Meishin, the Mind Cage is freaking hilarious as you negate armies and only your guys can cause damage. 1 point at a time. I’m sure someone has suggested Coastal Piracy before, but it’s a good card I use in my Edric EDH, which looks somewhat similar to this! 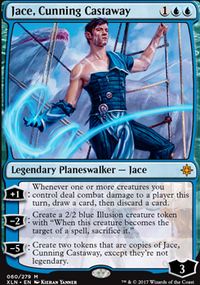 This commander is simple, a powerful mono-blue commander that while being considered low-tier, can be a powerful unblockable voltron draw-engine, a normal draw engine, or something to attach non-voltron equipment onto. 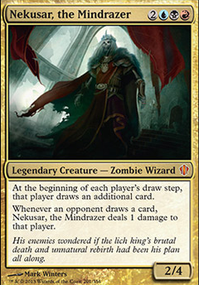 It isn't the best commander, no, however it brings a mono-blue aggro commander onto the field, and can play a great midgame and lategame need be. Like drawing cards? 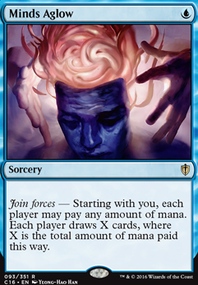 It has you covered, and with extra turn spells for more damage, stacking Tandem Lookout, Sword of Fire and Ice, Fireshrieker and Ophidian Eye or Curiosity, you are drawing some 8 cards a turn, probably drawing another extra turn spell in the process. 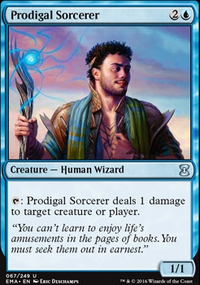 Sounds like Narset, Enlightened Master some of the time! Don't worry about the big aggro problems of not being able to deal with threats, you often don't need to tap out, holding up mana for a Swan Song, Counterspell or Into the Roil, sometimes even the overloaded Cyclonic Rift, while still progressing your board by dropping a one or two mana enchantment onto Lu Xun.